Training firm Icarus Aerospace drew a large crowd when it exhibited its work on a Boeing-made unmanned helicopter geared for public safety operations during the National Sheriffs’ Association Winter Technology Conference, Commercial UAV News reported Saturday. The newly unveiled version of the S-100 Camcopter will support search and rescue, resupply, disaster response and surveillance operations, the report noted. The unmanned rotorcraft is designed to operate in rugged environments and does not require a runway to launch. 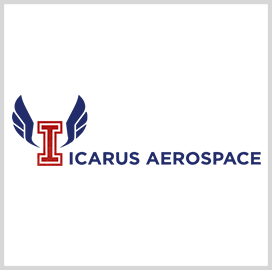 Icarus Aerospace is a veteran-owned small business that provides operation training on unmanned aircraft systems.